The Children's Library & Learning Center is a 30,000 square foot library with a computer lab, teaching kitchen, activity areas, study rooms, theater and a community room. The library has laptops and iPads you can check out and use with their Wi-Fi. The Children's Library & Learning Center designed to be a community gathering spot for families, offering more than just library books, reference materials, CDs and DVDs. They have all that too, but the Children's library is designed to be a fun, educational experience. This library was named after Hillary Rodham Clinton because of her work with children and families while she was first lady of Arkansas. Hillary set up many programs that helped children in the state. She founded the Arkansas Advocates for Children and Families and the HIPPY (Home Instruction Program for Preschool Youth) program for preschool aged children that is now used nationwide. She has always been a strong supporter of education for children of Arkansas. She lead the effort to develop the state’s first set of statewide curricular standards in the 1980s. As first lady of the United States, she fought for healthcare rights for children and to reform foster care and adoption. A learning library for children is the perfect namesake for her. The Hillary Rodham Clinton Children's Library & Learning Center is designed for kids to make hands-on connection to what they learn in school. The large teaching kitchen is designed to teach children all facets of culinary arts, including nutrition, growing, cooking, and eating food. The teaching theater allows kids to experience all aspects of theater, including designing and building sets, writing plays, acting, and costume design. They even have a puppet theater to teach kids about puppetry, including puppet making, stage craft and script writing. The Children's Library & Learning Center set on a six-acre site, that includes a greenhouse and teaching garden. It also has some features to teach children about Arkansas, including native hardwoods, a wetland area and walking paths. Each section of the grounds is made to represent an ecological region of Arkansas. There is an outdoor amphitheater as well. Like all Central Arkansas Library Systems libraries, the Children's Library & Learning Center also has books, CDs and DVDs that you can check out with a Central Arkansas Library Systems library card. Library cards are free to residents. The space itself is a great way to spend an afternoon with your kids, even when nothing is planned, but the Hillary Rodham Clinton Children's Library & Learning Center has special activities, games, movies and classes planned frequently throughout the week. Activities include hands-on filmaking, sound engineering, fun and games, storytimes, kitchen skills, dancing, and the Children's Library & Learning Center kitchen has several teaching sessions that teach kids to make and grow healthy snacks. Most of these activities and classes are free to attend. Various activities are geared from toddlers to teenagers. You can check the calendar to see what is coming up this week. Kids can do homework anytime in the library and have access to the library's computers, reference materials and study spaces. They also do story time, craft activities, movies and more. All of these activities are free. The Children's Library & Learning Center is located on 4800 W. 10th St., right across the street from the Little Rock Zoo. 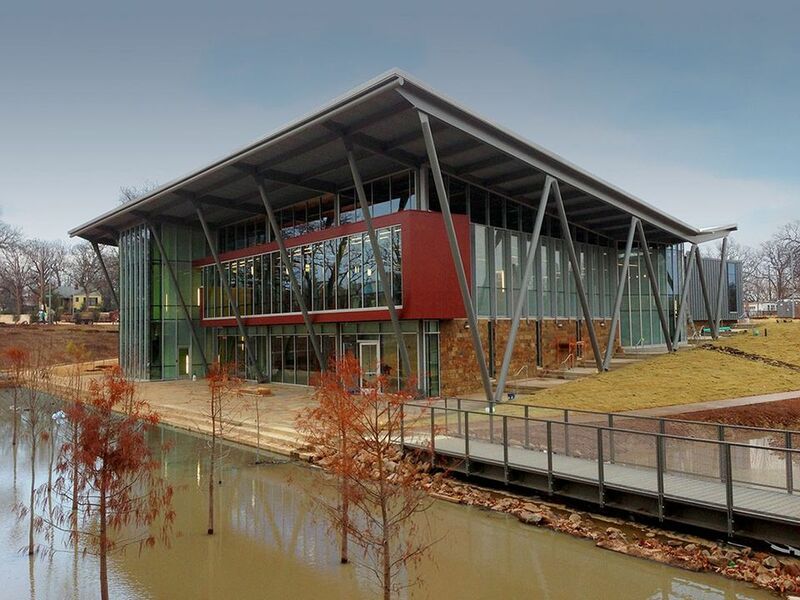 The Central Arkansas Library system is a system of twelve libraries all over central Arkansas. It provides Arkansans everything from computer classes to fun activities and programs for families. The library system serves a local population of 317,457 and is the largest public Arkansas library system. Most CALS resources are free for Arkansas residents. All Pulaski or Perry County residents can get a library card online or in person at any CALS library.